The Sony Xperia XZ Premium is one of very few smartphones that can boast an impressive 4K display. 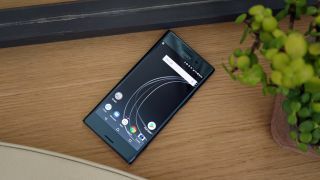 While such a high resolution screen may seem excessive in a 5.46-inch smartphone display, we can tell you that 4K footage on the Xperia XZ Premium looks absolutely fantastic. If 4K movies are your bag, then this phone should be a consideration, baby - especially now it's had a massive price drop thanks to this Argos Black Friday deal. You're looking at a saving of over £200, which gets you the aforementioned 4K display, Snapdragon 835 chipset, 4GB of RAM, 64GB of storage plus a microSD slot, 19MP rear camera and a 3,230mAh battery.